We are delighted to introduce this new drinks inclusive tour. The ferry trip across the Firth of Clyde makes a fine introduction to the magnificent Cowal Peninsula, so often missed by those visitors heading straight to the Highlands. To the north, the mountains surrounding the sea lochs provide a stunning backdrop, as the ferry arrives and Loch Eck snakes through the Peninsula, surrounded by high, tree-clad hills – the scenery is quite breathtaking! Dunoon, built around two sheltered bays, a delightful location overlooking the Firth of Clyde with spectacular scenery around it. We also include visits to the beautiful Isle of Bute, Inveraray and Oban. This hotel is renowned for its Scottish ambience in the centre of Dunoon with fine views across the Firth of Clyde – it has been a Dunoon landmark since 1837. Delightful lounges, bar and restaurant. All bedrooms are en-suite with flat screen TV, telephone, hairdryer, Wi-Fi, tea and coffee making facilities. Lift. Monday: A morning departure for your scenic journey north through the Border Counties to Gourock for the short sailing across the Firth of Clyde to Dunoon. On arrival tea and coffee will be served. Dinner in hotel with up to 3 free drinks from the house selection. Tuesday: After breakfast enjoy your first taste of the wonderful scenery as you ride along the shores of Loch Eck, through the Argyll Forest Park to Strachur Bay, turn south to the spectacular Kyles of Bute. A short ferry crossing takes you to the beautiful island of Bute where there is rugged, untamed countryside and the lovely Victorian resort of Rothesay. You have a drive around the island and have time at leisure in Rothesay – maybe visit ruined 13th century Rothesay Castle (approx. £5.00) or visit the Bute Museum (approx £4.00). To complete the day, your drive back to Dunoon has unrivalled views over the Kyles of Bute. Dinner in hotel with up to 3 free drinks from the house selection. Wednesday: After breakfast head around the shores of Loch Fyne to the pretty, lochside town of Inveraray. Then via Loch Awe and the Pass of Brander to the popular resort of Oban. Return through lovely scenery with coastal views to Lochgilphead and along the shores of Loch Fyne. Dinner in hotel with up to 3 free drinks from the house selection. Thursday: After breakfast, a scenic journey through the Argyll Forest Park and over the spectacular Rest and Be Thankful Pass to Tarbet. 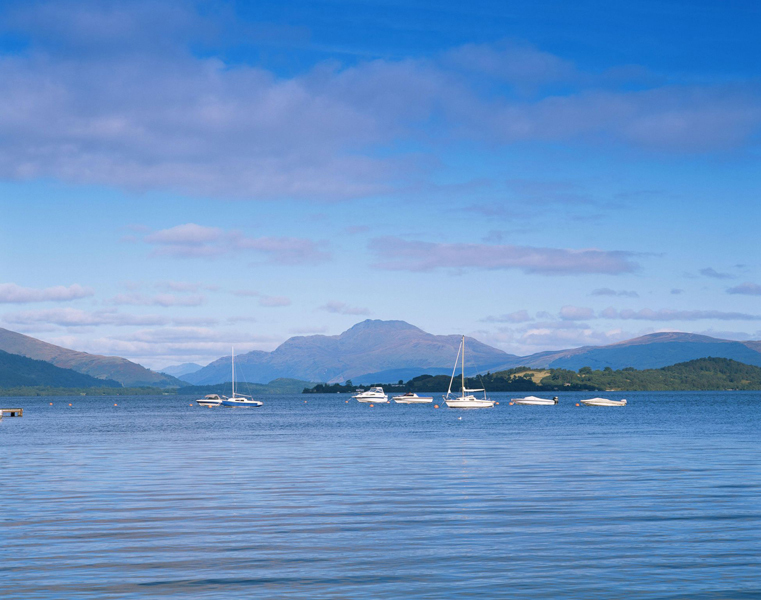 Journey along the shores of Loch Lomond and Loch Long before returning to your hotel. Dinner in hotel with up to 3 free drinks from the house selection. Price is based on shared twin/double accommodation with en-suite facilities including breakfast, dinner, 3 drinks each night from the house selection, 2 nights entertainment, ferry to Isle of Bute and coach travel.